One of the main topics of cultural conversation during the last decade was the supposed "fertility crisis," and whether modern women could figure out a way to have it all-a successful, demanding career and the required 2.3 children-before their biological clock stopped ticking. Now, however, conversation has turned to whether it's necessary to have it all (see Anne-Marie Slaughter) or, perhaps more controversial, whether children are really a requirement for a fulfilling life. 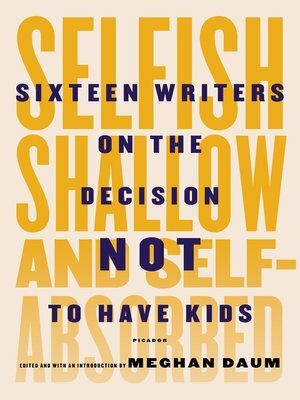 The idea that some women and men prefer not to have children is often met with sharp criticism and incredulity by the public and mainstream media.